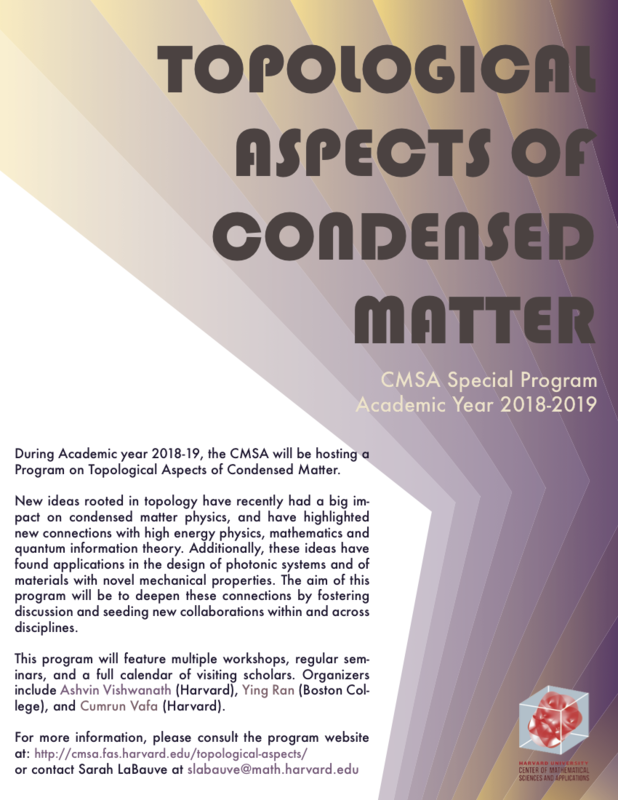 During Academic year 2018-19, the CMSA will be hosting a Program on Topological Aspects of Condensed Matter. 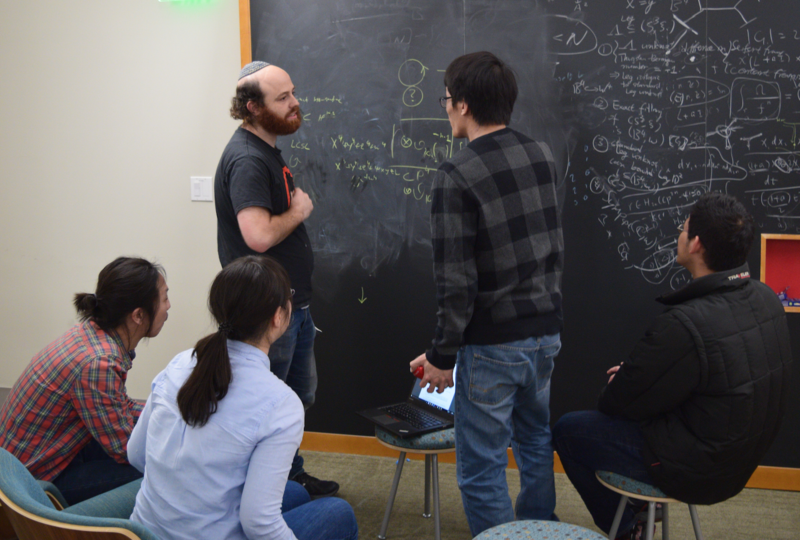 New ideas rooted in topology have recently had a big impact on condensed matter physics, and have highlighted new connections with high energy physics, mathematics and quantum information theory. Additionally, these ideas have found applications in the design of photonic systems and of materials with novel mechanical properties. 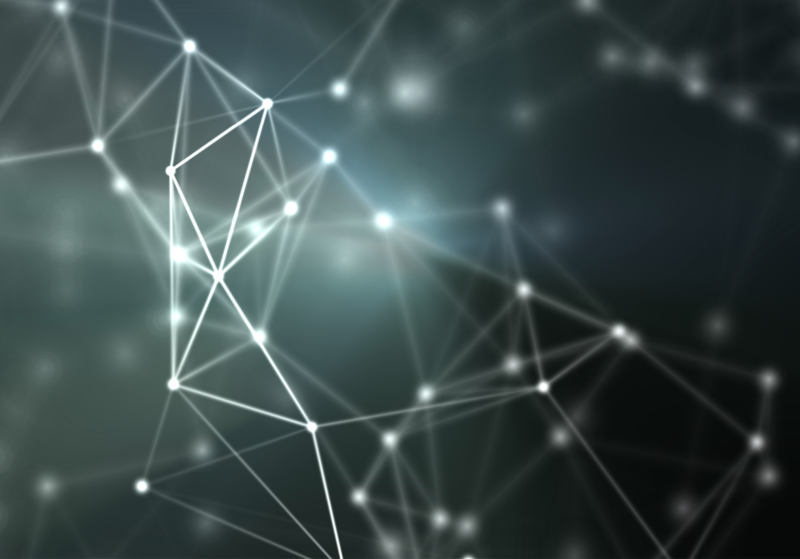 The aim of this program will be to deepen these connections by foster discussion and seeding new collaborations within and across disciplines. 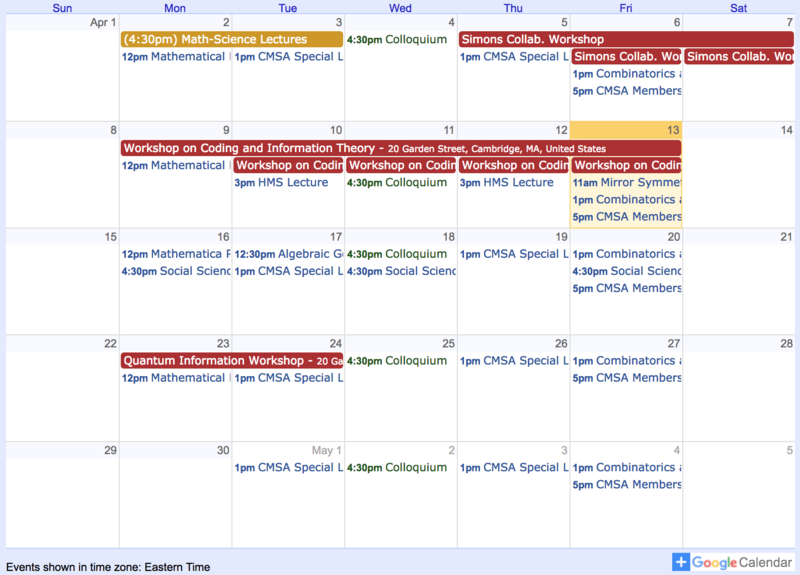 Additionally, a weekly Topology Seminar will be held on Mondays from 10:00-11:30pm in CMSA room G10.